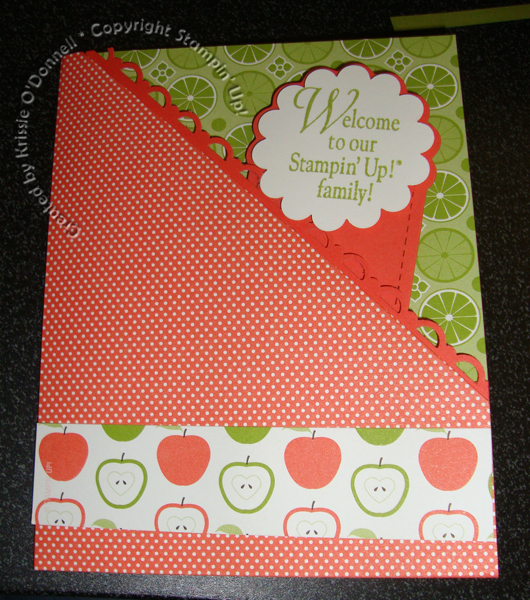 Welcome to my Stampin’ Up Team! I’d love to say these words to you! 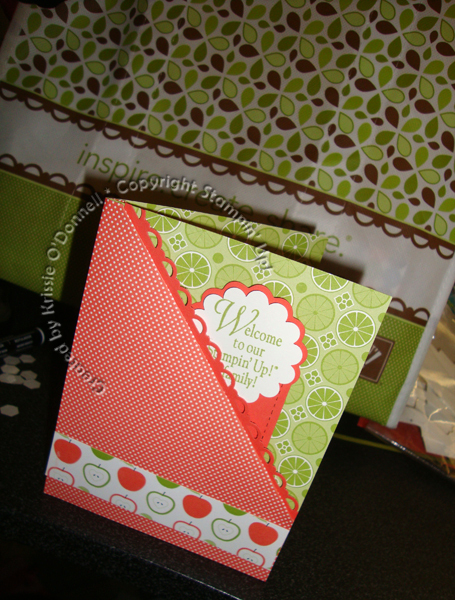 Have you seen the $99 starter kit deal going on this month and in June?? Please check out the flyer on the right! 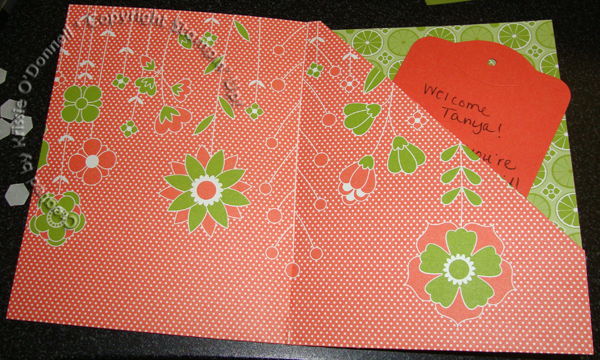 Here’s a card I made for my recruit in March, and hiding behind it is a tote bag with some fun goodies!! I’d love to give you something similar for signing up as a demonstrator, so please feel free to email me and I can help get you started!